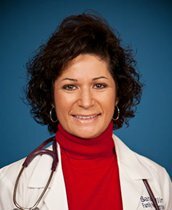 Hailing from Southwest Virginia, the Richlands native has been a part of the FirstChoice Family Practice team since 1999. She has recently referenced her special interests in migraines and asthma through public speaking engagements. Sara is married and the mother of two children. When she has spare time, she enjoys spending it participating in any outdoor activity or extreme sport including wakeboarding, snow skiing, hiking, and biking.